What is an temperature inversion? The typical, idealised situation is the following: the temperature decreases with height troughout the troposphere until it starts to increase again in the stratosphere. These two layers are divided by the so-called tropopause. When the temperature increases with height this layer is very stable stratified and is called an temperature inversion. Such conditions are mainly observed at night when strong surface cooling occurs and so the surface cools faster than the air above. Similar conditions can also be found in autumn under high pressure conditions. The low sun zenith angle results prevents the sun from destroying the inversion layer. The Eastern parts of Europe are high pressure dominated for some weeks already. A typical result of the inversion layer can be seen in satellite imagery. Areas where fog lasts for days and areas where it is completely cloudless often lie near to each other. The mountain areas profits from these conditions in terms of sunny weather. But especially the Alpine region suffers from another problem: lack of snow even in the higher areas. Foehn winds, high temperatures and missing precipitation work hand in glove. 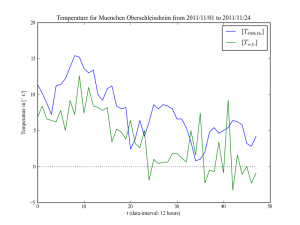 The following plots show the temperature trends for some weather stations in Germany. 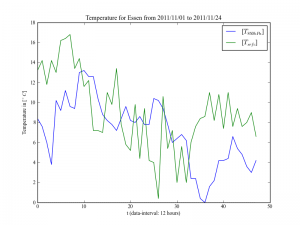 Plotted is the temperature at the surface and at 850hPa. These values are measured twice a day with rawinsondes. Both plots show an overall decreasing trend in temperatures during November. It is also seen that the 850hPa temperature where quite high for the beginning of November. The maximum for Essen is 13.2°C and for Munich 15.4°C. The maxima at surface are 16.8°C for Essen and 12.6°C for Munich. 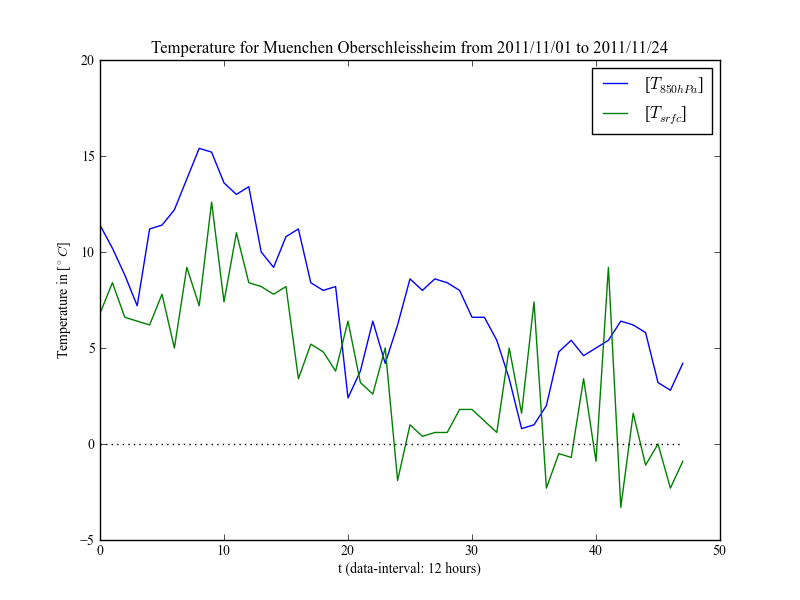 While the maximum surface temperatures in Essen is higher than the maximum at 850hPa the opposite is true for Munich. When having a closer look at the plots it can be assumed that in Munich on most days a inversion layer was existent. 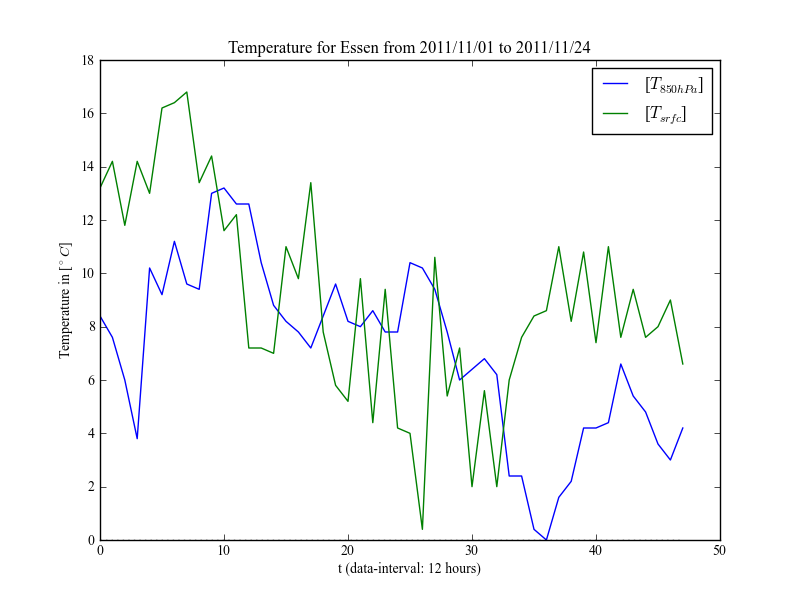 Essen instead profited from more sunny days (what can be validated by looking at the satellite images for each day) resulting in surface warming. Write the first comment now!